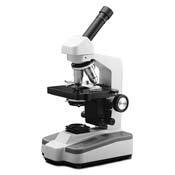 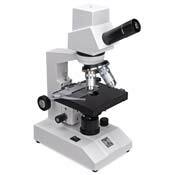 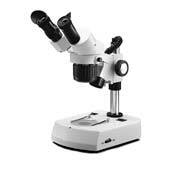 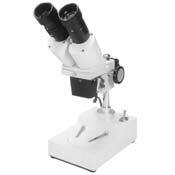 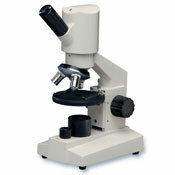 We have a large selection of laboratory quality microscopes particularly well-suited for student use. 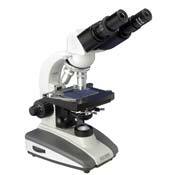 All microscopes feature glass, coated optics for the best optical performance. 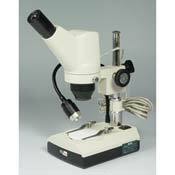 Compound (high-power) microscopes are the style typically found in school classrooms and science labs, and are used for viewing small specimen such as cells and bacteria. 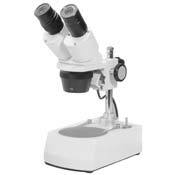 Stereo (low-power) microscopes are for looking at much larger specimen such as insects, plants, minerals, etc.